Cornerstone is grateful for the generous support of friends that enables us to provide services to individuals and families facing life challenges. As a donor, you have our promise that your gift will be used to maintain the highest quality services in the area. There are several ways you can give to Cornerstone. To make an online donation, please click on the PayPal link. You do not need a PayPal account to submit payment. 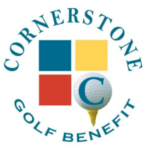 To talk to us about giving to Cornerstone, call Chris Parker, 217-222-8254.